Roseann Ettinger has always been fascinated with the history of fashion. She built and owns “Remember When”, a vintage clothing store in Hazleton Pennsylvania, and has taken the photographs for and written many books on twentieth century clothing and jewelry. “Remember When” at 21 W. Broad St, Hazleton Pennsylvania. She has previously written Handbags, 20th century Neckties: Pre-1955, Compacts and Smoking Accessories, Popular Jewelry of the 60’s ,70’s, 80’s, and 50’s Popular Fashions for Men, Women, Boys & Girls. Her books provide guidance for the collector and a documented reference for the professional. “INSPIRED BY AMBER” WAS ORIGINALLY ESTABLISHED IN THE EARLY 1980S BY ROSEANN ETTINGER WITH THE HELP OF HER YOUNG DAUGHTER, AMBER LEE. 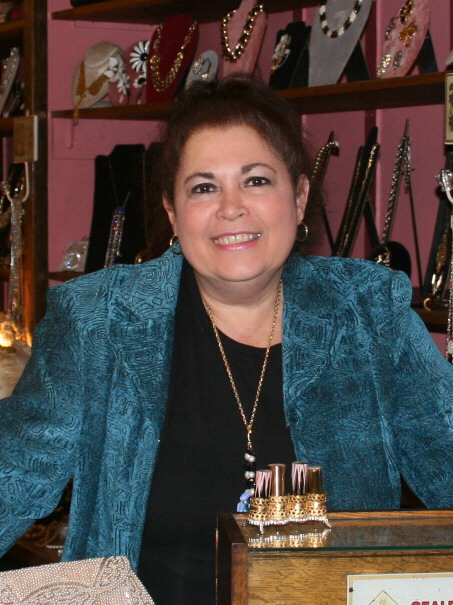 DECIDING TO TAKE A SLIGHTLY DIFFERENT PATH FOR THE NEXT 25 YEARS, ROSEANN ETTINGER BEGAN RESEARCHING PERIOD JEWELRY AND WRITING BOOKS ON ANTIQUES AND COLLECTIBLES SPECIALIZING IN ANTIQUE JEWELRY AND VINTAGE CLOTHING. 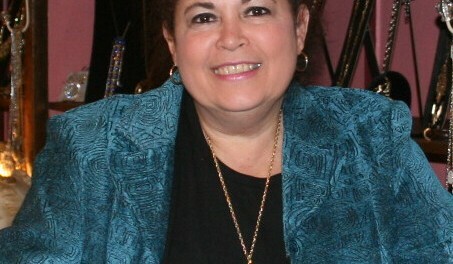 SHE ALSO ESTABLISHED “REMEMBER WHEN”, AN ANTIQUE AND VINTAGE CLOTHING STORE IN HAZLETON, PENNSYLVANIA. AMBER GREW UP TO EARN A DEGREE IN FASHION DESIGN, MODEL AND ACT IN NEW YORK CITY. CURRENTLY, THE MOTHER-DAUGHTER TEAM HAS RE-FOCUSED AND ESTABLISHED THEIR JEWELRY LINE ONCE MORE, THIS TIME WITH A TOUCH OF THE PAST AND A FRESHNESS OF TODAY. “The journey of Roseann Ettinger is one of the greatest stories never told, going from a thought to a dream, then from a dream to making it a reality, authoring numerous books, developing one of the most brilliant vintage stores on the East Coast to being a great mom, she’s done alot in her life, and we are honored to be the first to tell her story on the UCW Radio Show, thank you Roseann, ” said Louis Velazquez host of the UCW Radio Show.